Entries from SRtRC 2015 School Comp on display at UNITE HQ. 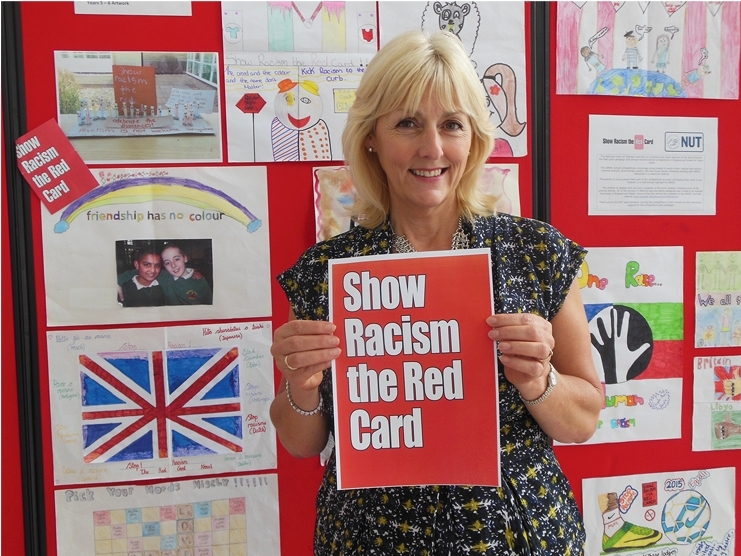 The entries from 2015’s SRtRC School Competition (England) are now on display at the headquarters of campaign funders, Unite the union. Visitors to the Union’s London base will be able to take in the artwork and creative writing of young people from throughout England. The entries will be on display at Unite Headquarters for the few weeks and SRtRC hopes to arrange similar displays of the work elsewhere in the Country. You can also see some of the film entries from the SRtRC School Competition 2015 (England) on the campaign’s YouTube channel. Photo: UNITE Political Director, Jennie Formby with some of the entries on display. Overall winner 2015 – Whinney Banks Primary School, Middlesbrough. Third place entry, All Ages & Abilities Multi-Media Category, Daniel Buttfield, West Bridgford School, Notts.